Students are introduced to the fundamental knife skills and techniques, understanding commercial kitchen equipment and matching the material used to the technique or food being prepared. They will learn dry, moist and mixed heat cooking techniques while using basic ingredients like dairy, eggs and dry goods. They will develop the capacity to identify and fabricate meat and poultry products, the preparation of stocks, sauces and soups. Students are introduced to the modern and traditional preparation of Garde-Manger and finally to the concept of portion, presentation and completing a plate. This course introduces the techniques and concepts required in the production of pastries and dessert. Students will learn a variety of methods including blending, creaming, foaming and thickening. Students will be introduce to the production of basic building blocks like gênoise and sponges, simple fillings like pastry cream, almond cream and frangipane, and will develop their skills in the production of traditional pies and tarts. This course will develop student´s knowledge of industry-accepted standards of food safety and technologies. Students will gain practical experience under the instructors supervision to observe and grade sanitation practices and overall condition of an ongoing culinary laboratory classroom including purchasing area. This course emphasizes knowledge of the rules and regulations governing food safety as well as practical application of this knowledge in food service management. This course leads directly to students acquiring a nationally recognized Sanitation Certification. Proper selection of inventory and documentation of raw materials are critical to the success of the food service operation. From this lecture and hands on laboratory students demonstrate knowledge of procurement process applicable to the hospitality industry, as well as a working knowledge of culinary mathematics as it applies directly to food costing. Emphasis is placed on profit planning through menu planning, the control cycling and forecasting. Purchasing automation, computerized purchasing and HACCP systems will be explored. Emphasis is on the fundamentals of nutrition, the function of nutrients and the importance of a well balanced diet. Students will review special diets (low sodium, low fat, low calorie, allergies and vegetarian) as well as the effects of additives and preservatives in food. This course explores the sensory analysis of food for the production of flavorful and nutritional menus. The emphasis of this class is placed on the art of wine production, understanding the geographical regions of the world and the history of wine. Students will incorporate the sensory analysis necessary to identify the regional and varietal organoleptic differences in wine. The backbone of this course will be constant wine tasting and discussion on the pairing of food and wine. The focus will be on the front-of-the-house dinning operations and professional dining service. Students will learn service techniques based on French service, banquet and English service. Topics include experience in cash and non-cash handling, forecasting sales and merchandising technique. Students will have the opportunity to serve guests at the Institutes restaurant L´Ecole and rotate through a variety of positions to provide excellence in guest satisfaction. This class stresses the procurement process concentrating on food identification, food specification and evaluation of quality and quantity in food purchasing and stocking. Topics include identification of inventory categories, receiving procedures, legal issues, issuing criteria, storage control, cost controls and pricing strategies. Students will be introduced to computer programs relevant to purchasing procedures. In this class students build on the foundation laid in their sophomore culinary foundations courses. They will learn advanced techniques for the treatment of meat and poultry and incorporate game meat and untraditional seafood products. The class reinforces the techniques of braising/stewing, simmering, roasting and develops new classic French techniques like ballottines, paupiettes and confits. This course is designed to enable the students to study food, beverage, and labor cost controls. The student learns the recipe conversions, menu pricing, food and labor cost percentages and interpretation of profit and loss statement. 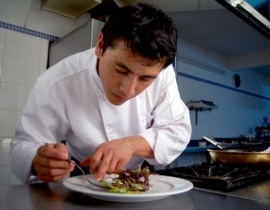 A working knowledge of culinary mathematics as it applies directly to food cost analysis is stressed, as well as necessary mathematics proficiency required to function effectively in the food service industry. This intermediate course concentrates on the comprehensive study of dining service operations within the food and beverage industry. Students will be instructed in the art of dining room supervision in both á la carte and banquet environments. Emphasis is placed on menu development, marketing, staff scheduling, production planning and implementation, service and fiscal accountability. One of the most important responsibilities of culinary professionals is managing people. This curse reviews the knowledge and behaviors necessary for a supervisors role. Topics include the central position of a supervisor as a manager, quality management, effective communication, and motivation to workers, evaluating and disciplining employees, effective training strategies and evaluation of change. Also included in this course are the principles of human resources management in the workplace, including planning and delegating. In this upper-level course students will review the concepts learned on the previous culinary foundations classes. The goal of this course is to develop advanced French techniques and preparations. Topics include understanding cheeses and their uses in the gastronomy; preparations with poultry, game meat, variety meat and selecting the proper garnishes; preparation and uses of high end products like foie gras and caviar. Finally, student will be introduced to the buffet and catering cooking techniques and preparation. This course will explore the modern trends and techniques in the culinary industry. Students begin studying the ingredients and traditional foods from the North, Central and South American Cuisine and develop advance cooking skills with untraditional techniques. 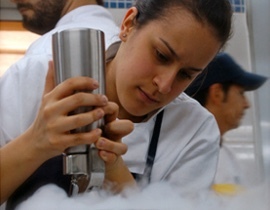 Later in the course, they will be introduce to the molecular gastronomy and avant-garde cuisine, mastering the techniques and uses of liquid nitrogen, emulsifiers, spherification, creating foams and powders and developing the concept of decontructivism in the gastronomy. At the end of this course students will comprehend the artistic component of culinary activity and how to manipulate the mechanism of aroma release and the perception of taste and flavor to produce modern and original creations. This course is designed to introduce the art of charcuterie with concentration on various forcemeats, and sausage production, roulades, pâte, galantines and terrines. Students will review several techniques, including curing, drying and smoking. Finally they will produce a variety of fresh and cultured cheeses with a strong emphasis on combining flavors and their different uses on traditional dishes. This course will develop the skills for bartending and service of alcoholic and non-alcoholic beverages. Focuses include wine, mixed drinks, coffees and teas, specialty beverages and how a beverage type can identify an establishment. Planning topics include concept, identification of target market and creating a bar business. This course offers the students an advanced understanding of spirits, liqueurs, cocktails, beers and mixology to design and supervise a successful bar operation. Students will explore the history and cultural differences that influence the production of beer and develop their creativity in order to produce artisan products. 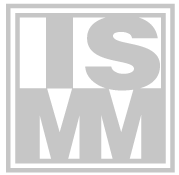 Management topics include bar layout and operations, trend identification and product selection, basic production methods, costing and pricing and inventory methods. The creation of wine lists, beer lists and cocktail menus are also discussed. Responsible Beverage Service is stressed. This course is designed to give the student practical experience in the beverage industry, both front and back-of-the-house operations. It is an opportunity to apply their theoretical and practical knowledge in a realistic environment while working with professionals of the beverage industry. Upon completion of this externship, students have a more global understanding of the demands and expectations of the beverage business. The restaurant rotation is the final applied component of the Culinary Arts Program. Emphasis is placed on providing with hands-on learning in preparing and serving food and beverages. 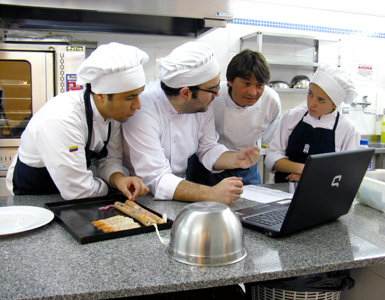 Students apply the skills taught throughout the curriculum by working in-school restaurant shifts or through participation in the production for the Institutes restaurant L´Ecole. 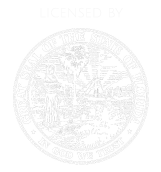 The Institute has also developed agreements with several restaurants, hotels, operated practicum educational facilities, country clubs, resorts, casinos, spas and food service providers in Miami for the externship program. Upon completion of this course, the students should have the skills needed to begin their career in the culinary and/or hospitality industries at an entry to mid-level position. This course that emphasizes accepted standards and techniques of expository writing, logical thinking, and reading with literal and critical comprehension. Students are expected to write coherent, unified prose, develop a thesis statement, arrange main ideas and supporting details.They will develop the skills to use effective vocabulary, conventional sentence structure and standard American English grammar and usage. This course provides a comparison of different roles, interests, opportunities, contribution and experiences in social life, specifically in the culinary field. Topics include race, ethnicity, gender, sexual orientation, class and religion. Upon completion, students should be able to analyze how cultural and ethnic differences evolve and how they affect the development of personality, values and their influence on food. In this class we will talk about mathematics and how they are applied in the culinary arts. Cooking well is an art in which the difference between an exquisite dish and one not very well elaborated lies in the correct and accurate measurement of the ingredients, that is, the application of mathematics to carry out the recipe to perfection. We will discover not only the importance of carrying out the measures properly, but also the importance of converting measures from one system to another to make a succulent preparation. Guaranteeing the performance, taste, consistency and cost. In your life, no matter your occupation, at some point you will be asked to deliver a presentation. In order for you to be an effective speaker, your communication, verbal, nonverbal, and written must be consistent. Master of the skills used in public speaking will greatly enhance your chances of being understood. An effective presentation includes good content, organization, delivery, audience, and analysis. These are the tools that you will be evaluated on during the course. In addition, the information you will learn will assist you in becoming a more critical consumer of information. This course will present the student with an analysis of the legal, operational, and psychological considerations in recruiting, selecting, hiring, training, compensating, developing, disciplining, evaluating, and terminating employees. Other topics will include workforce demographics, employee illiteracy, substance abuse in the workplace, affirmative action, workers with disabling conditions, workforce stress, human resource planning, collective bargaining, and safety and equity considerations. Students will also analyze cases, solve actual or simulated personal problems, and investigate successful practices in these areas. The students will learn how to analyzed policies of commercialization of a product in the hospitality operation as we recognize how companies manage necessities to compete effectively in a dynamic, global environment. This course examines our present-day marketing system from a managerial point of view and has a current events component to help emphasize the marketing principles in today’s business world.Subjects covered include consumers, market research and target markets, feasibility analysis, products, promotion, channels of distribution, pricing, international marketing and use of technology in marketing. This course reinforces the cooking techniques learned and develops the importance of food quality and conservation. Students will be introduced to the European Cuisine techniques and products. They will explore a variety of flat and round fish and other shellfish used in the culinary industry. This class incorporates simple and complex garnishes, decorative techniques, plating and presentation. Students will be explored the world of simple and stuffed pastas, rice and grains, with a variety of classical sauces. This course explores the fundamental concepts and techniques required for the production and presentation of baked products. Students are instructed in the fundamentals of baking science, terminology, equipment, ingredients, weights and measurements, formula conversion and costing of recipes. Products covered include commercially yeasted breads, rolls and savory breads and gluten free products.